One in every five people across the globe dies of causes associated with a poor diet. A new study published in the scientific journal "The Lancet" reports an overconsumption of red and processed meats, salt and sugar and not enough fruit, vegetables and legumes are to blame for damaging our hearts and causing cancer. Our daily diet, researchers say, is a bigger killer than any other risk factor, including cigarette smoking. Eleven million deaths globally in 2017 can be attributed to cardiovascular disease, which is often caused or made worse by obesity and poor diet - in particular, overconsumption of salt. Stefan Lorkowski, a German researcher who contributed to "The Lancet" report, sat down with DW to nut out the findings of the paper. DW: When it comes to unhealthy diets, we often hear of eating junk food, alcohol consumption and cigarette smoking being our biggest concern when it comes to our health. 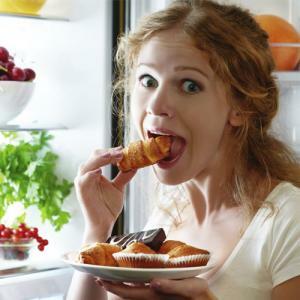 In your study, what did you find a dangerous diet consists of? Stefan Lorkowski: This clearly depends on the country you look at. It is quite well-known that the dietary habits in developing countries are different than in well-developed industrialized countries, although they have some similarities. For example, whole grains are eaten the least in almost all countries. In developing countries, the decision often depends on availability and someone's income. If you have a low income you don't buy vegetables, you don't buy meat; instead, you buy cheap and often starch-rich foods. In the more industrialized countries, we have a somewhat different situation because we have enough money to spend on food, but we also eat foods which are low in fibre, but rich in refined starch and fat, and calories as well. An important issue is also the amount of food we eat. That means the calories. We've been able to see a steady increase over the years in the BMI [body mass index] worldwide. You mentioned the energy intake and how much people are eating of certain foods. But what are people missing when it comes to their diet? What aren't they eating that they really should be getting more of? So, a serious issue seen in our study is the low intake of fibre. We do not eat enough wholegrain products. We prefer fast foods which consist of refined starch and fat as well. These foods are usually low in fibre and also low in micronutrients and trace elements. Our intake of sodium is generally much too high.